How long has it been since you last played Scratch Cards online? Today, I’m going to show you the best free Scratch Card games to play online in 2019. 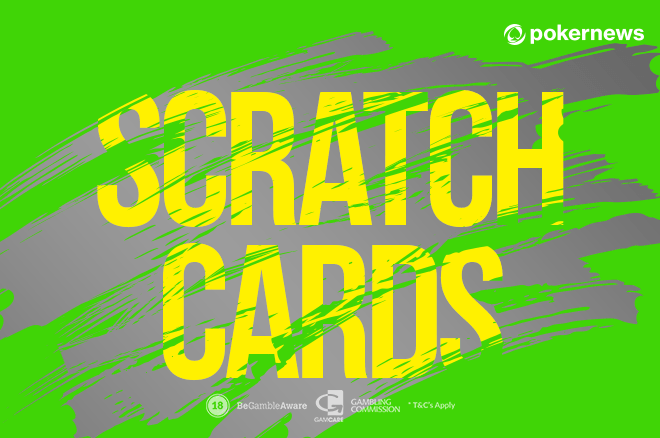 But why should I prefer online Scratch Cards over the physical ones? If you’ve never played Scratch Cards online, you can start with the free versions. Luckily, each and every game on this list has a demo mode. In other words, play as much as you want without spending a single penny. All you need to do is to create a new account at the online Casino you open. Below, you can see my top picks as the best Scratch Card games this year. Read the reviews, check out the Jackpots, and play for fun. Diamond Deal is one of the most fun free Scratch Cards I’ve ever played, and here’s why. This modern game has everything you need for a relaxing gaming session: nice music, pleasant graphics, and enjoyable gameplay. 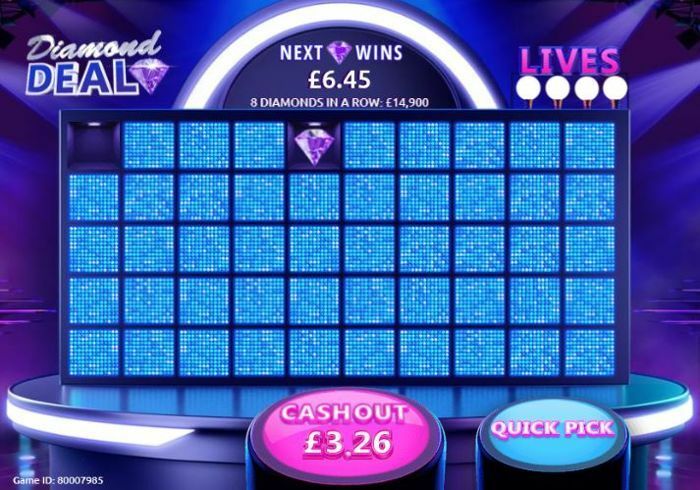 You might not even believe that it's a simple Scratch Card game - Diamond Deal is that good. To play it, you have to set your bet first, which goes from £0.50 to £10. Then, the game gives you a field of blue cells. You have to pick them one by one, revealing the symbol underneath. Your goal is to find as many diamonds as possible - and not to waste your four lives. As you pick diamonds, your winning grows. However, if the cell is empty, you lose a life. If you manage to get 10 diamonds in a row, you hit the Jackpot. This one is a simple, yet charming free Scratch Card game. It reminds me of the classic Scratch Cards I used to buy at my local supermarket. So, here, all you have to do is to collect three matching symbols - which are really pretty. Frogs, butterflies, parrots - this game is full of vivid colors. The betting part is really cool, too. That’s because you can bet as low as £0.01 per session, whether you play for free or for real money. 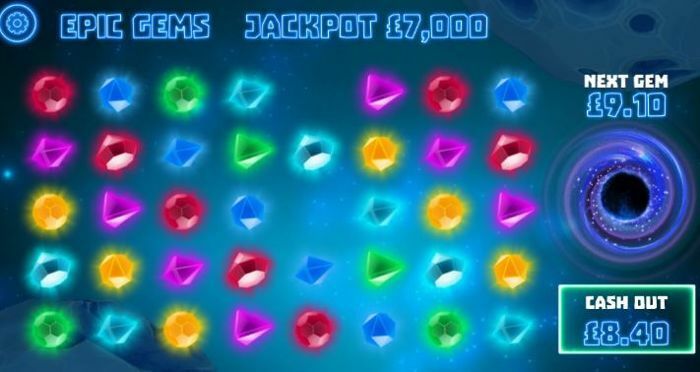 Epic Gems is a Scratch Card game that reminds me of a Slot machine a little - thanks to the scattered crystals that look like reels. However, these gems don’t spin - quite the contrary. Here, you have to do all the work by collecting the gems. Of course, the more gems you collect, the bigger your win is. But be careful - there are some mines hiding under the gems. The game is over for you if you reveal even a single mine. Luckily, the chance of hitting a mine is not that high, as there are only four mines and 36 lucky gems. Fun fact: You double your bet when you collect seven gems. Can’t decide between sports betting and Casino games? Then, Red Card might just be the Scratch Card you need. You see, this football-themed game is as fun as any other betting title. Because, in this game, there are 49 choices you can make. Underneath the 49 footballs, there are 43 winning trophies and six red cards. As soon as you reveal a red card, the game is over for you. Luckily, every trophy increases your win - and you can cash out anytime you want. 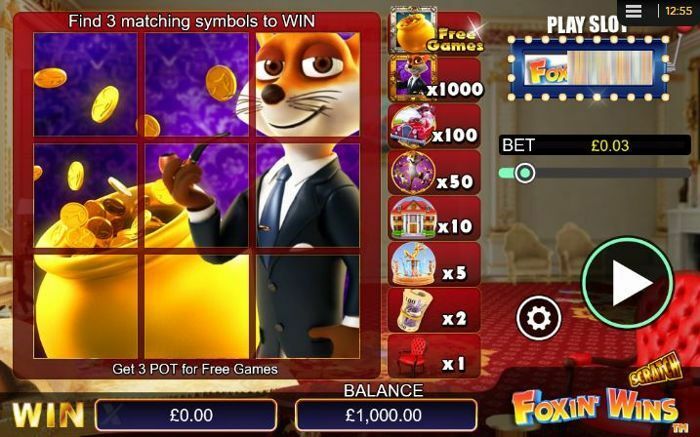 You’ve read it right - the NextGen’s Foxin’ Wins franchise now has a free Scratch Card game. And it’s really easy to play. 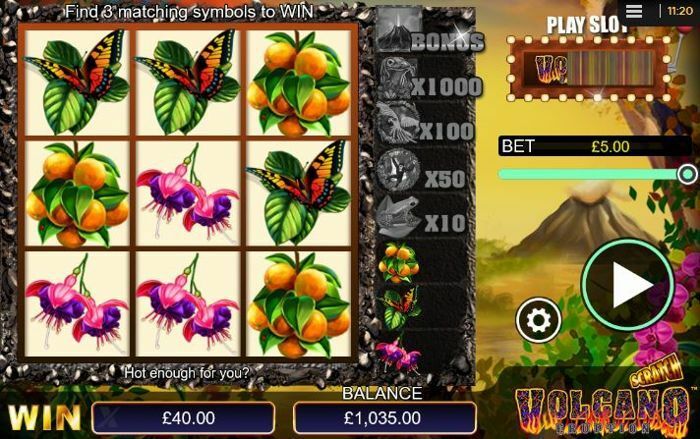 Just set your bet (from £0.01 to £100) and click the Play button. You win if you collect at least three matching symbols. However, that’s not all there is to Foxin’ Wins. You see, if you manage to get three pot symbols, you’re in luck, as the game then gives you five bonus rounds. With double the prizes. 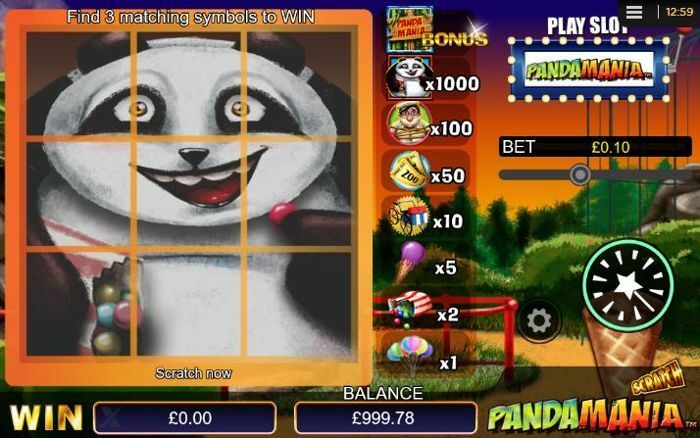 If you love playing Scratch Cards, you should definitely give Pandamania a go. Sure, it’s a very simple game, but it’s also fast-paced and versatile when it comes to betting options. Those who collect three Pandamania symbols get a Donut Bonus. Here, you have to collect at least three donuts for a special prize. 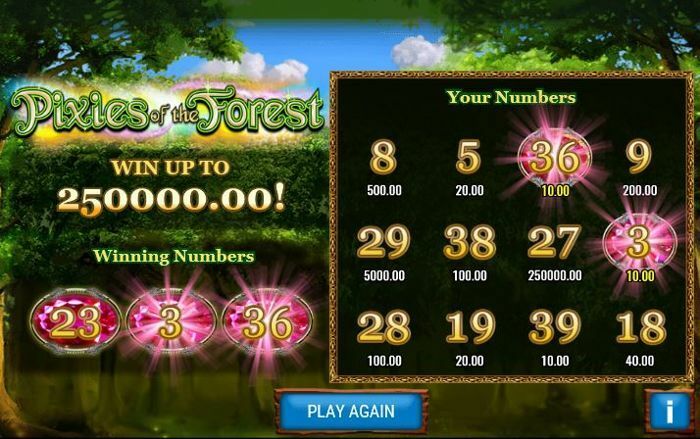 You might have heard about Pixies of the Forest, a Slot that you can find at almost every land-based Casino. Well, now there’s a Scratch Card by the same name, and you can play it for free at an online Casino. And here’s the principle of the game. You get three winning numbers and a grid with 12 numbers. You win when you find at least one lucky number on the grid. You might also want to know that Pixies of the Forest doesn’t have a paytable. Instead, the game determines your wins randomly. Fun fact: If you reveal a pixie while scratching off the card, you get all the 12 prizes. Boss Lotto looks like a Bingo game from the first glance. However, it’s a free Scratch Card game based on the same principle as Red Card and Epic Gems. The more lucky symbols you pick, the bigger your win gets. Here, you get 49 lotto balls - 43 of which hide a pound symbol. These are the ones you should hope to pick. The remaining six are the bad ones, as they will instantly stop the game. 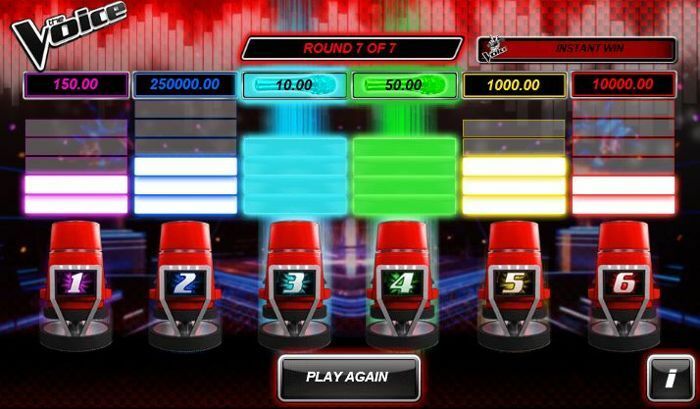 The Voice is as unique as a Scratch Card game can get. Based on a popular TV show, it will make you forget that you’re playing a simple Casino game. Well, let’s take a look at its gameplay. For starters, you get six chairs - and seven rounds. Every time you click the Play button, a random chair releases a note, which lights up the chair’s column. You win when you get a chair’s column fully lit - or if a chair reveals an instant prize. 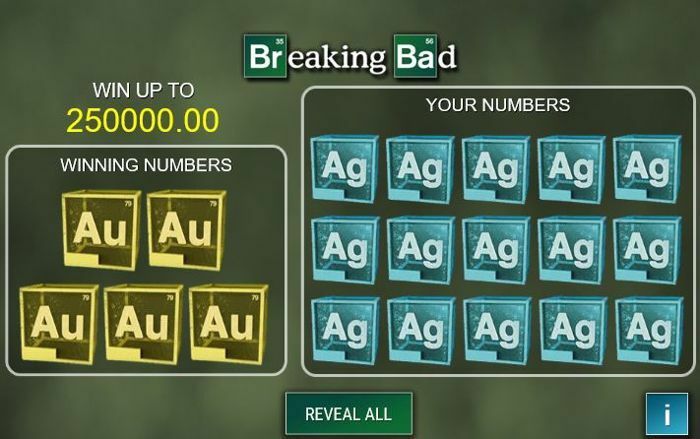 If you’re a fan of Breaking Bad, you might be tempted to try out the free version of the Scratch Card by the same name. Just as you set your bet (from £0.50 to £10), you get a card with two sets of numbers. The ones on the left are the winning numbers. Match at least one of them with the numbers placed on the other grid. 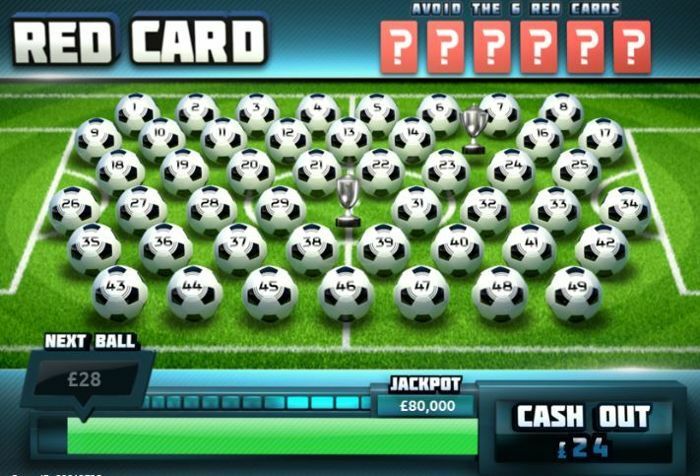 The Jackpot of the game is £250,000 - which is only possible to get if you bet the maximum of £10 per card. 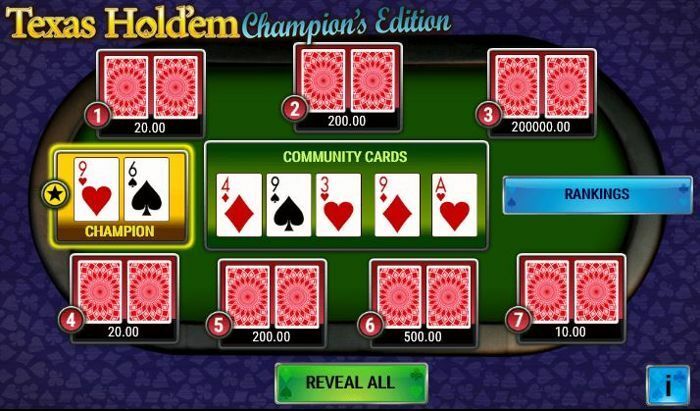 Texas Hold’Em: Champion’s Edition is one of the most interesting Scratch Card games online. It combines the complexity of Texas Hold’Em Poker with the simplicity of a Scratch Card, and the result is outstanding. Let’s take a look at how this game works. To start playing, you have to make your bet first, which goes from £0.50 to £10. Then, you get seven sets of hands with different prizes. You have to click the Reveal All button to see, whether you have any winning combinations made with the community cards. If at least one of your hands beats the champion’s hand, you win. 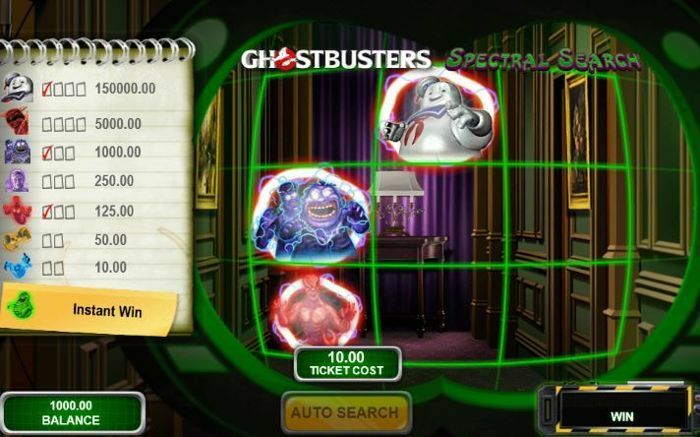 Ghostbusters is an online Scratch Card that looks more like a video game. Before you play, you have to choose your area. A street, a living room, a dining hall - it’s your choice. Then, you get a 3x3 grid with nine cells. You have to select five of them to reveal the ghosts that hide in the area. When you complete the first area, you get to pick your second one - with a brand new grid and five chances to select a cell. To win, you have to collect two, three, or four matching ghosts. However, the best ghost in this game is Slimer - because a single image with this green creature gives you an instant win of up to five times your bet. You might have already read our review of the Da Vinci Diamonds Slot - but did you know that there was a Scratch Card version, too? Developed by IGT, this instant game lets you bet between £0.50 and £10, and gives you the chance to win up to £250,000 per card. 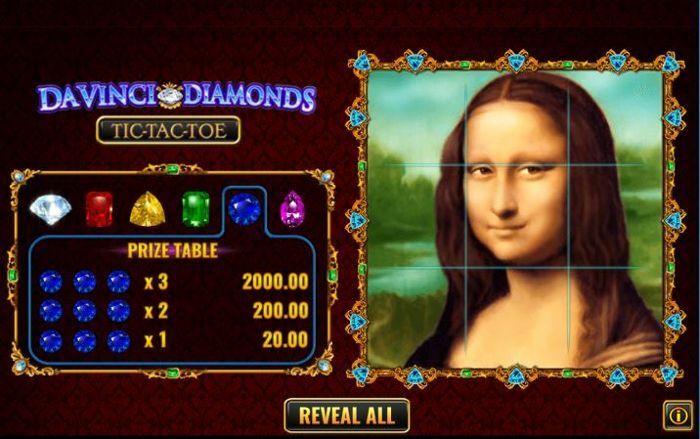 To play, simply set your bet and scratch off the picture of Mona Lisa in hopes to reveal three identical gems vertically, horizontally or diagonally. The Codfather is one of the most ridiculous Scratch Card games you’ll ever see - thanks to the horrible pun and creepy pictures. Nevertheless, it’s a fun game to play for free and for real money. That’s because it offers a nice bonus to spice up your gameplay. You see, when you collect three logo symbols, you get five free games with doubled prizes - and who wouldn’t want that? Call of the Colosseum is an instant win game for those who like classic Scratch Cards. 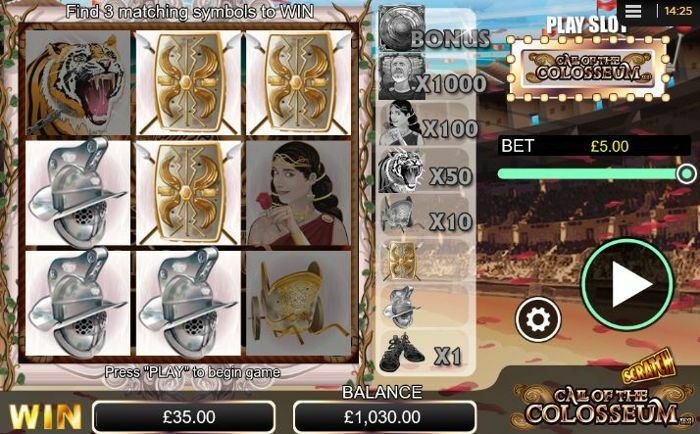 Play it for free or with a Casino bonus if you like Las Vegas games and the world of ancient Rome. 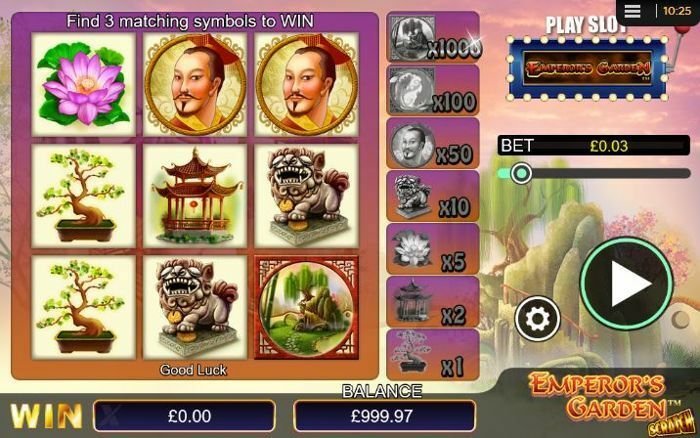 If you enjoyed our list of the best Asian Slots online, then the Emperor’s Garden Scratch game is the one for you. 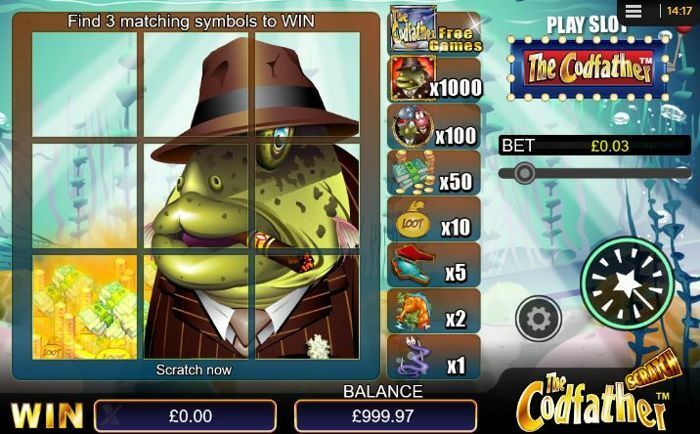 Beautiful imagery, catchy winning music, and a Jackpot of £250,000 makes this game worth playing. 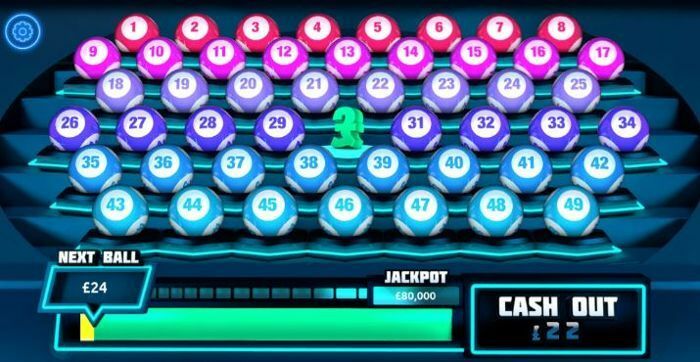 What Are the Online Casinos With the Most Slots Games?